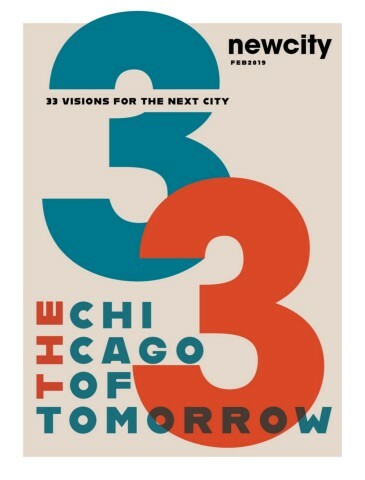 In honor of the publication's thirty-third anniversary and this month's mayoral election, Newcity polled a variety of visionaries about their one big, bold idea for the future of Chicago. From a renaissance on the South and West sides to instituting a four day work week, this issue has plenty of fresh ideas for whoever ends up running the city. Also: 100 Years of Bauhaus, going to the beach in February, vegan tasting menus, what's in store during the Year of Chicago Theatre, and much much more! Newcity's February issue celebrates our anniversary with three stories centered on the future: an exit interview with serial entrepreneur Howard Tullman, who was instrumental of 1871 and its place in the local tech ecosystem, a firsthand look at everything learned about filmmaking in the production of our first feature film, Signature Move, and a feature on Cure Violence Chicago and other organizations looking to treat gun violence as a public health issue.